Alyce from At Home With Books features one of her favorite reads each Thursday and this week my pick is about strong women. Warrior Women: An Archaeologist’s Search for History’s Hidden Heroines by Jeannine Davis-Kimball, Ph.D. With Mona Behan. The origins of the Irish warrior queens whose sepulchers remain on the fields of Eire. I read this book many years ago but the memory is still very vivid. Let me tell you a tale of a plane ride home from Las Vegas. I was on my way home from a business trip to Las Vegas and this was my flight home read. I had saved it specifically for the trip home because I knew it was going to be good. I settled myself in for the long ride and began reading. Two college boys on the way home from Spring Break took up the seats next to me. The poor guy who lost the battle for the isle grudgingly took the middle seat and ordered a drink as soon as possible from the flight attendant. A short while later he took note of my book and we struck up a conversation about it. He was reading it for a class and thought that it was one of the best books he read in years. I was only a few chapters in but had to agree — it was fascinating. Not only are the artifacts and the ancient cultures she uncovers interesting but the stories about the women are just amazing. She also intersperses the book with short excerpts about her travels which makes it read like an adventure. 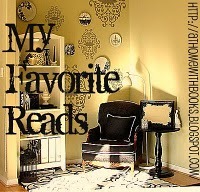 Got a favorite read to share this week? I love non-fiction, and reading about women warriors sounds fascinating! Thanks for the recommendation! How cool! I am always afraid to research cool stories about women in history too closely, because I’m afraid they’ll turn out not to be true. This looks like it would be a great read for me!